Maura Krause is a director, dramaturg, and producer of new work. 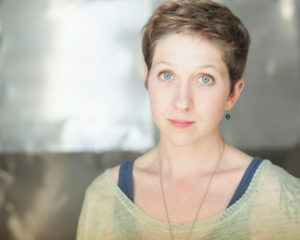 She is the Artistic Associate at Azuka Theatre, in addition to being the Artistic Director of Barrymore Award-winning company Orbiter 3, Philadelphia’s first producing playwrights collective. Maura was a National New Play Network Producer-in-Residence at InterAct Theatre Company, and is currently an Associated Artist with Applied Mechanics. Favorite projects include Red Ash Mosaic (Cleveland Public Theatre), Breathe Smoke by Douglas Williams (Orbiter 3), flesh flesh flesh: a ghost play by Lena Barnard (self-produced), Tilda Swinton Adopt Me Please (The Greenfield Collective), and This Is On Record (Applied Mechanics).